These instruments were widespread throughout Europe, Asia and North Africa. 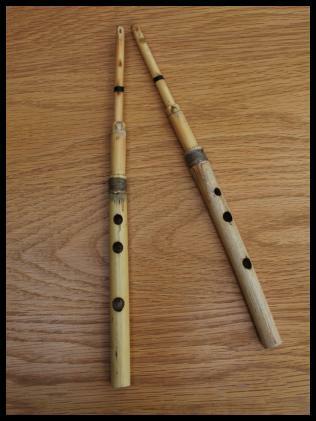 Often a shawm would accompany a bagpipe as with the Breton bombarde and binou; the Italian ciaramella and the zampogna. Pictured left to right; sona (China), bombarde (Brittany), shenai (North India), zurna (Turkey), tarota (Catalonia) and ciaramella (Italy). The sona was bought from Raymond Mann's shop in Soho, London back in the 1970s. Mann's shop specialised in Chinese folk instruments. The bombarde is of African blackwood and made by the Breton company Camac. The shenai was made in India and supplied by JAS music of London. The zurna's maker is unknown as is the Catalan tarota. Mike's ciaramella was made by Gino Luigi Carini of Milan. 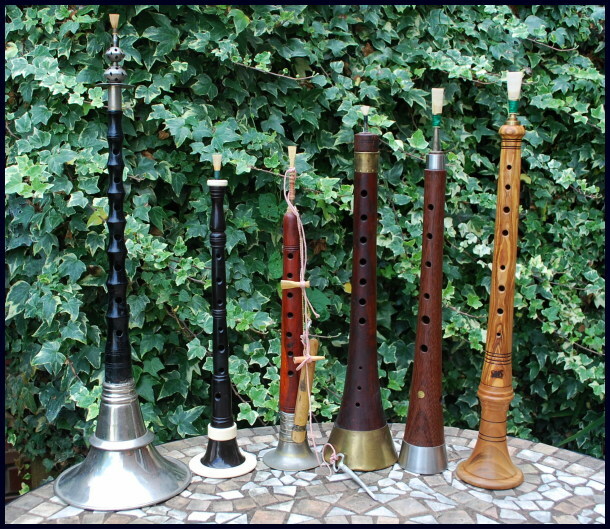 The zhaleika (Жалейка in Russian, also known as брёлка or bryolka) is the most commonly possessed and used Russian wind instrument, also known as a "folk clarinet" or hornpipe. The zhaleika was eventually incorporated into the balalaika band and may have contributed to the development of the chalumeau, a predecessor of the clarinet. 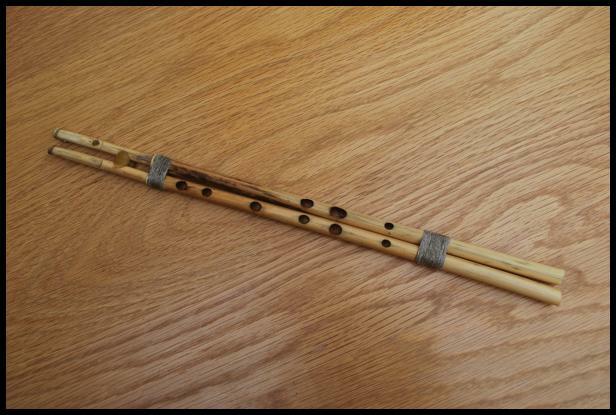 The zhaleika consists of a single reed that can be covered by a mouthpiece (or "wind cap"). The design consists of a wooden barrel with finger holes and a flared bell that can be made of either natural or man-made materials. It can either consist of a single or double pipe. The single pipe is about 10�20 cm long with a reed made out of either cane or goose feather with an end bell made of cow horn or birch bark with 3�7 finger holes. The double pipe consists of two pipes and one bell, and is found mainly in the southern parts of Russia. The zhaleika has diatonic tuning and comes in various keys (G,A,D, sometimes C,E,F). It has a natural or "normal" soprano voice, but can perform in alto or piccolo forms. It is tuned by adjusting the reed and can be turned to the major scale or mixolydian mode with flattened 7th note. Only an octave's worth of notes can be played. Its timbre is described as "piercing and nasal, sad and compassionate". 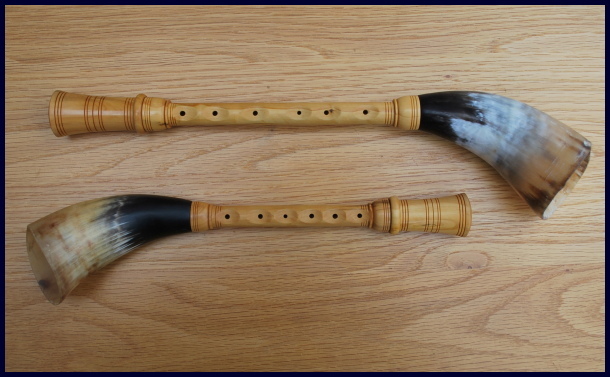 My zhaleikas are made of boxwood with cow horns. The reeds are made from carbon. The smallest is in the key of A and the larger instrument in the key of E. They were made in 2015 by Alexandr Khudolev who lives and works in Sochi, Russia.